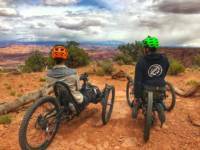 Telluride Adaptive Sport’s 7th annual Moab Mania! took place last week with impeccable riding conditions amongst some of the world’s most famous mountain bike venues. 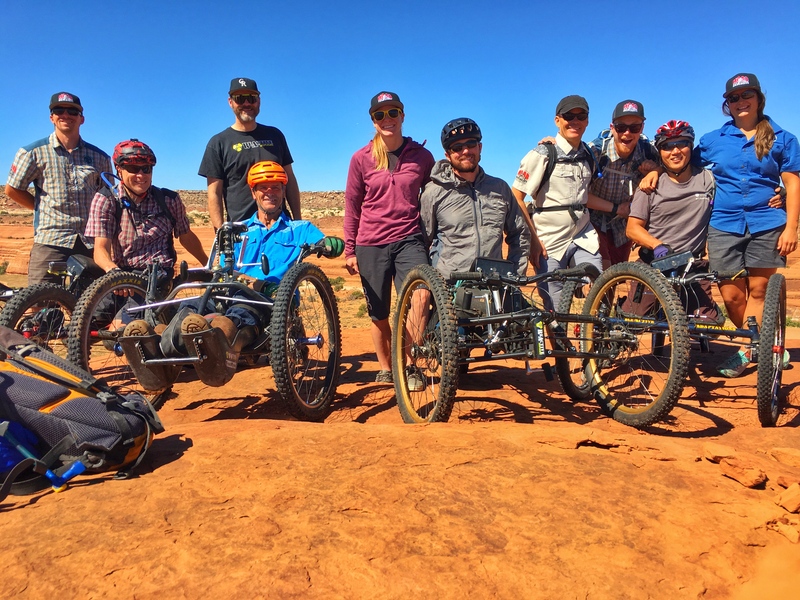 This year’s crew featured some of the most top notch riders from the western states and the rides they conquered pay homage to their immense skill and dedication to the sport of off-road hand cycling. 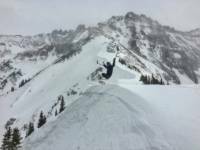 Check out Telluride Adaptive’s Facebook page for profiles on each rider. 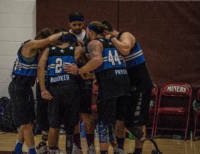 As the riders arrived Thursday night, it was evident that they were craving a challenge. 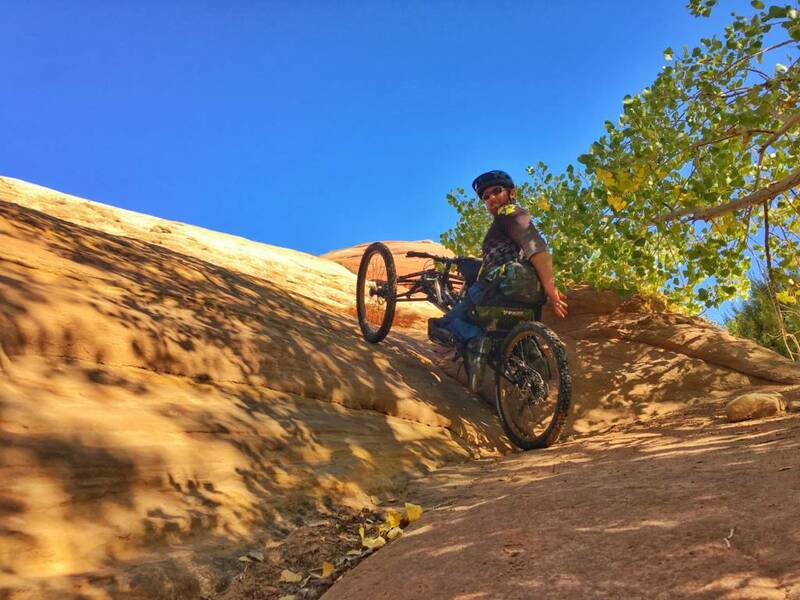 Eager to quench the thirst for an adventure, trip leader and Program Director Tim McGough presented the riders with the most technically challenging ride Moab Mania! 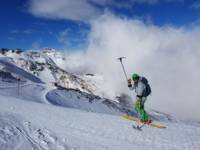 has ever attempted – all for the first day’s ride. 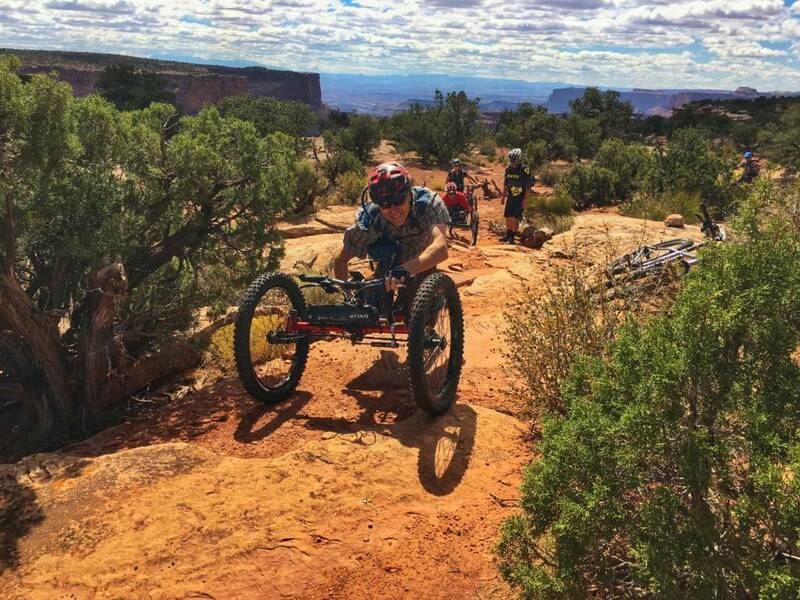 The handcyclists took on Moab’s Alaska Shelf with incredible displays of skill and athleticism; boulders were scaled, narrow rock outcropping scraped through, and hills powered through by riders Pat, Jet, Jake, and Wally. The cyclists were rewarded with a ride along a thin, narrow ridge with sweeping drop offs to each side providing unrivaled views of the Salt Valley below and intricate canyon walls beyond. A zippy and bumpy downhill along Mega Steps gave riders the opportunity to gain some speed after all their uphill work and there was nothing left but smiles and laughter once everyone reached the van. Day 2 found the group tackling an entirely different type of ride. Instead of endless slick rock and massive boulders to crawl, the ride on Whip Tail and Twisted Pines featured a flowy and winding dirt path careening through desert scrub and along the canyon rims of Dead Horse State Park. 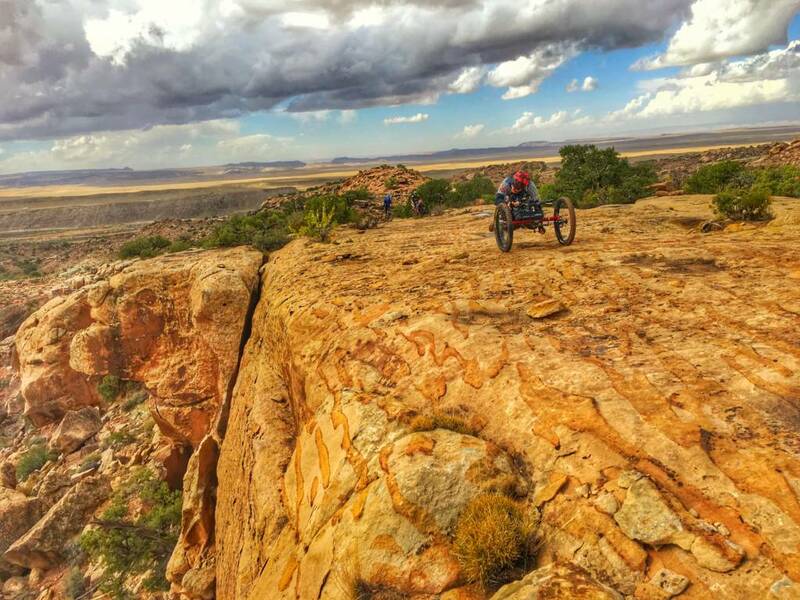 The riders ripped through the trail in record time and had plenty of time to soak in the stunning views from the vista points along the rim. Day 4 saw a great final ride down Ramblin’ at Navajo Rocks. Combining a little bit of everything from the previous days, this ride was the perfect capstone for the trip. Joined by Daniel Riley, the riders once again cranked through flowy trail sections, narrow shelves, boulder crawls, and a final uphill crawl along a massive slickrock ramp. Even on this last day, riders were still going strong and enjoying each turn and technical section of the ride. 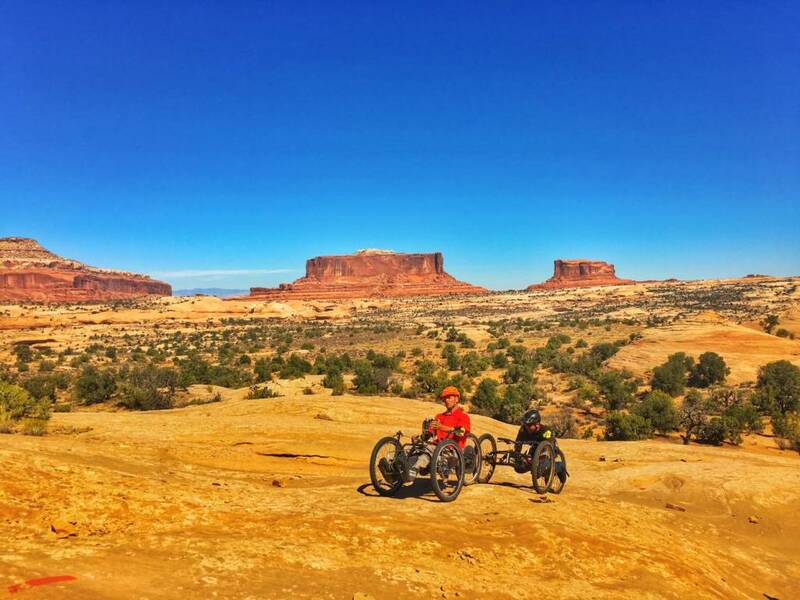 Clearly some of the most passionate riders and most enthusiastic at tackling difficult trails, Pat, Jake, Jet and Wally perfectly demonstrate the spirit of adventure and challenge Moab Mania! strives to foster. The best Moab Mania yet! We train all year to test ourselves at Moab Mania and this is my 5th one! Tim does a great job at setting our rides and keeping us progressing. I really appreciate that.